Islam, like other religions, has many sects. Some of the major sects of Islam today are Twelver (Imami) Shi’ism, Sunnism and Wahhabism. But how do we know which one is the right one? 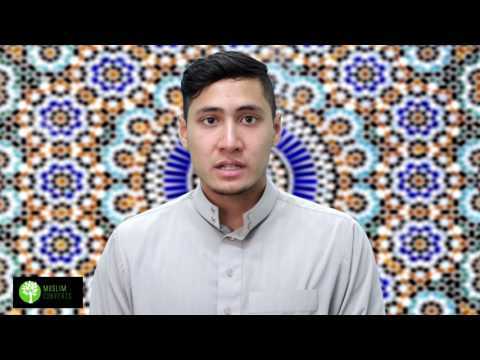 In this lesson, we will overview some of the major denominations of Islam. We will also discuss how one’s zeal in faith does not mean that a person is on the right path. Finally, we will also look at how unity can still be achieved despite differences. Sunni Islam: Sunni Islam is the majority sect of Islam today. Sunnis believe in the legitimacy of the first era Caliphs which include Abu Bakr, Umar and Uthman. Sunnis also acknowledge Imam Ali (as) as the legitimate fourth Caliph. They believe that the companions of the Prophet as well as his wives were the primary sources of understanding Islam and the Prophet’s (s) Sunnah. Shia Islam: The most popular and dominant version of Shia Islam is 12ver Shi’ism and hence why when Shia Islam is mentioned, people usually mean Imami or 12ver Shi’ism (Imami and 12ver are just different names for the same thing). Shia Islam believes that God chose twelve successors to succeed the Prophet Muhammad (s). These twelve successors were to be from his Holy Household, or known as the Ahl al-Bayt in Arabic. The Ahl al-Bayt (as), as Shi’ism believes, were the infallible sources of understanding Islam, the Qur’an and conveying the Prophet’s Sunnah and teachings. Wahhabism: Wahhabism is a fundamentalist movement that was born out of Saudi Arabia in the 18th century by Muhammad ibn Abd al-Wahhab (d. 1792 AD). We have separated out Wahhabism from Sunnism as many mainstream Sunnis consider it to be a movement that is distinct from traditional Sunnism. Wahhabism was born out of the British colonial project in the Arabian peninsula. The goal of British imperialism in the region was to destroy Ottoman power. One of the methods that the British employed was to created so-called reformist movements to subvert the traditional Islamic religious establishments that existed at that time. These establishments or institutions were important as they kept Muslim communities intact. Wahhabism was one of these reformist movements. Wahhabism is different from other Islamic denominations today in that it holds a belief in an anthropomorphic God, that is, a God that is physical and holds physical features like hands and feet. Wahhabism also holds that God literally sits on a throne. It also has a high propensity to excommunicate other Muslims from Islam and is not shy to encourage the killing of Muslims who hold different opinions. As such, violence and intolerance are some of the prominent features of the Wahhabi movement today of which ISIS and other terrorist groups are an intellectual offshoot of. The greatest victims of Wahhabism are primarily Sunnis and then Shias. We’ve only mentioned two major sects in Islam. There are, of course, other sects in Islam, like the Ismaʿilis, the Zaidis, and many other groups but we cannot cover them here due to time constraints. The central mechanism of human guidance is the kind of religious leader and role model you choose for yourself. So the question one should ask is the following: who is the right leader? Did the Prophet Muhammad (s) leave anyone behind as leaders for us? As we’ve seen previously, we know this answer to be in the affirmative. The Prophet (s), as evident from the event of Ghadeer and Hadith al-Thaqalyn, left us with two sources of guidance, one being the Qur’an and the other being his Ahl al-Bayt (as). As the Prophet (s) explained to us, if we follow these two we will never be deviated. So by choosing the right leaders or Imams, that is, the Imams of the Ahl al-Bayt (as), one can be assured that he or she will be part of the right sect. What are the two major sects or denominations of Islam? Yes, in addition to Twelver Shi’ism, there is Ismailism, Zaydism and other branches. How do we know what the right sect or denomination is in Islam? The Qur’an teaches us that on the Day of Judgment, people will be resurrected with their Imams or Leaders. This means that by following the right leader, one can follow the right sect. The Prophet taught us that these leaders are the Ahl al-Bayt (as). Who are the right Imams or Leaders one should follow according to Islam? Are they the companions of the Prophet (s) ? The Prophet (s) taught us in Hadith al-Thaqalayn as well as in the hadith of Ghadeer that his Ahl al-Bayt (as) (Prophet's Holy Household) were the right leaders of guidance. How many rightful sects can we have? As truth is one, there can be one truthful sect. Is it possible that there are no right sects in Islam? That is, they are all deviant? No, as the inevitable result of this would be a crisis in divine providence. If Islam is the last religion, and there are no right sects, then this means that the earth will be locked out of access to the truth. However, the teachings of the Prophet (s) tell us otherwise as he explicitly taught that the earth will always have a guide until the Day of Judgment.